Make this year ‘that’ year you clicked with more customers. The 2018 Telstra Small Business Intelligence Report compares thousands of responses from two parallel surveys to reveal where small businesses meet customers’ expectations – and where they don’t – plus expert advice and action plans to help you close the gap. of customers won’t consider a small business if they can’t find information about it online. of customers won’t consider a small business without a website. Isn’t it time your business got online? While customers are using technology as their primary tool to find products and services, the majority of businesses are finding it hard to keep up. While customers are finding search an important tool, most small businesses undervalue its power. Are you providing a fast, convenient customer experience? While customers want the process of buying and booking to be simple and speedy, some small businesses don’t believe this is important to their customers. Are you making it harder for customers to reach you? While customers are using a range of methods to contact small businesses, businesses are struggling to find the right approach. Three award-winning small businesses tell us how they became “better, not bigger” by embracing technology to reach more people and find more customers. Know a brilliant business or charity? Nominate them for the 2018 Telstra Business Awards. Make this year ‘that’ year you click start your business. 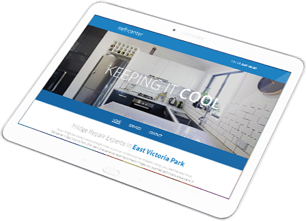 With Telstra Online Essentials®, we'll build your website, and run your online marketing to help you find new customers. Taking care of the technical bits including your domain name, hosting and email, to help your business thrive. THINGS YOU NEED TO KNOW: Telstra Online Essentials: Domain name subject to availability and meeting the eligibility criteria. 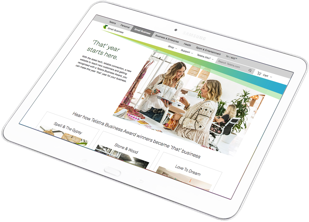 Technology is more than your online presence and there is no shortage of tech tools to help you connect with your customers. Smarter, connected technology can allow you to spend more time on your business, not in your business completing routine tasks. This report reveals where small businesses are out of step with their customers – particularly when it comes to technology. We’ve also included advice from leading experts and businesses already catering to the digital consumer. Plus, you’ll receive action plans, case studies and useful articles selected to help you find and be found by more customers. Know a brilliant business? Click here to nominate them for a 2018 Telstra Business Award. By subscribing here you consent to receiving marketing from Smarter Business™ separate to any preferences you may have with Telstra. You will continue to receive marketing communications from Smarter Business™ unless you unsubscribe. You may continue to receive marketing communications from Telstra until you unsubscribe using the contact information in our privacy statement.